Speaking to bundesliga.com ahead of his expected return to the matchday squad against SV Darmstadt 98 this weekend, the 23-year-old opened up about life on the sidelines, his critics' expectations, Bayern's aims for the remainder of the season and working under Pep Guardiola. bundesliga.com: Mario Götze, you’ve only been training with the team for a few weeks. When can the Bayern fans expect to see you back on the pitch? Götze: I feel fit and well. I’m now in my third week of team training and I’m looking forward to my first appearance after the injury. bundesliga.com: You had a torn tendon that needed to heal and were out of action for several months. What role does your head have to play after such a lengthy lay-off? Götze: It always has a role to play, especially after such a long time out, but I have a long and intensive rehabilitation programme behind me – that feels good. The good feeling has and will only get better. Now it’s important to find a steady rhythm, but I’m optimistic about that. bundesliga.com: How difficult is it to get back up to full fitness in training? 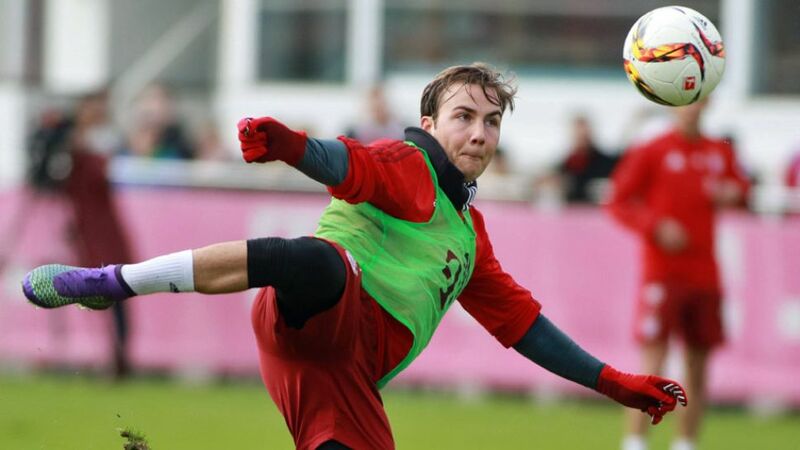 Götze: Training’s obviously a little different [to playing in a match], but the level of training here is so high that, in the end, there’s not much missing. I’m delighted that I’ll be back in the squad this week.